A resident of Rye and Harrison for nearly 22 years, Patti Neave is a true ambassador for the community. She gets great personal and professional satisfaction helping her customers find the right homes, whether they're looking for high-end new construction, waterfront property, a laid-back and charming craftsman-style cottage or a one-bedroom rental. The Rye area is blessed with a wide variety of housing, so key to Patti's success is her ability to really listen to a homebuyer and understand the lifestyle they want. She also has a knack for succinctly portraying the character of many different neighborhoods and a community, which helps her customers identify the attributes and amenities that most interest them. Having bought and renovated homes in both Rye and Harrison, she has a great eye for detail and in-depth experience in design and the building process, not to mention a treasure of knowledge about local services and suppliers. Patti is an invaluable resource to home sellers, going the extra mile to make the process go smoothly and quickly. She has built a reputation for honesty and integrity, which quickly translates into referrals and repeat business. 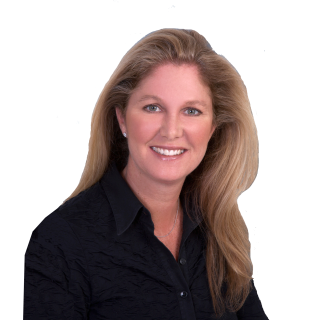 Patti is a Licensed Salesperson, and her professional memberships include the New York State Association of Realtors, Westchester County Board of Realtors and Rye-Harrison Multiple Listing Service. Patti was a volunteer member of the TWIG organization, a nonprofit group that raised money for the former United Hospital in Port Chester, NY and now helps raise money for Holy Rosary Rectory in Port Chester, NY, the Carver Center and POTS (Part of the Solution). Patti is married and has three children, who attend the Rye City School District. She was Co-President of the Parents' Organization. Her children keep her busy with a variety of extracurricular activities and sports. Patti enjoys playing USTA tennis at Rye Racquet and Manursing Island Club. She also enjoys running, boating and taking long walks with her Chocolate Lab, Lacey. Gracious Milton Point Retreat! Private setting located on 1.48 acres. Perfectly renovated in 2007 with the utmost attention to detail! Tranquil setting. A must see! Not to be missed! First Floor 10' Ceilings. Second Floor 9' Ceilings. Beautiful Property On Cul-de-sac Almost 3 Acres With Pond.2 (275) Gallon Oil Tanks And 6 Zone Hydro Air.